(TibetanReview.net, Jan12’16) – China expects to earn 30 billion yuan per year from tourism in Tibet’s capital Lhasa by 2020, nearly double the amount it did in 2015, reported China’s official Xinhua news agency Jan 11. The report cited local authorities as saying this will account for over 40 percent of the local economic output. 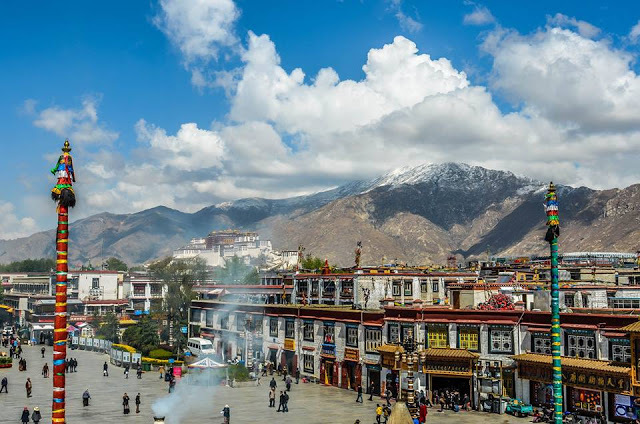 The report suggested that this was a modest target, given the fact that Lhasa’s tourism revenue had more than tripled in the past five years to an estimated 15.49 billion yuan ($2.35 billion) in 2015. The report said tourism was estimated to be providing 150,000 jobs in the city. The Lhasa city authorities were reported to have pledged to spend 100 billion yuan to improve infrastructure, including roads, airport and facilities around scenic spots to ensure a speedy growth in tourism.